​Real Madrid captain Sergio Ramos has been ranked as ​the best player by UEFA in terms of player performances for his national team Spain. The Real Madrid centre-back is followed by Virgil van Dijk (Netherlands), Haris Seferovic (Switzerland), Andriy Pyatov (Ukraine) and Antoine Griezmann(France). Each player is rated by the European football governing body depending on various factors related to their positions. ​Marca report that Ramos' low rate of errors and fouls committed coupled with his passes completed and successful interceptions of the ball earned him more points than any other player in the continent. In Spain's last game against Norway, the 32-year-old completed 82 out of the 87 passes he attempted, whereas he committed only two fouls and recovered three balls. He did not receive a yellow card and went on to score the winning goal for his team. 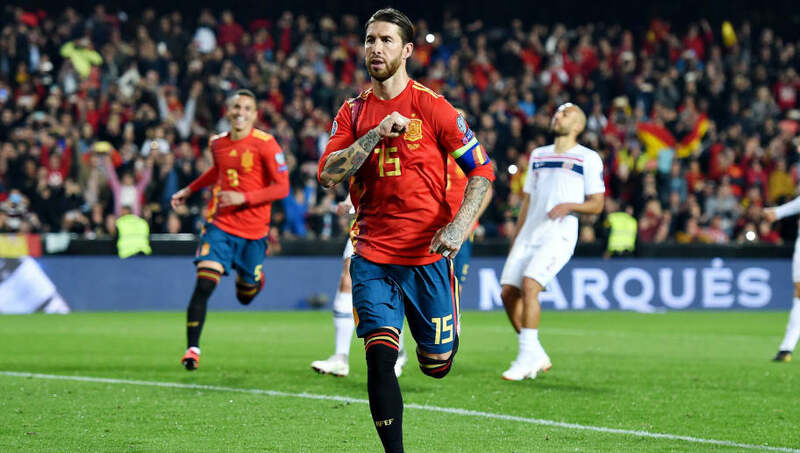 With 162 caps for the Spanish national team, Ramos is now only five games away from matching Iker Casillas as the player who has played the most number of international matches for Spain. Ramos could surpass Casillas' record somewhere around October this year.